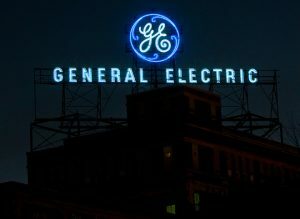 General Electric (NYSE: GE) has announced it will take a $6.2 billion charge in the fourth quarter of the fiscal year to pay for lingering problems in its GE Capital unit. G.E. said it was making the move after conducting a review of the insurance portfolio that is part of GE Capital. G.E. said it had used two outside auditors to assess the insurance obligations. A reinsurance unit of GE Capital, North American Life and Health, reported higher-than-expected costs of reinsuring long-term care policies sold by other insurers. The news prompted G.E.’s decision to add $15 billion to reserves for the business over the next seven years. The insurance charge was double what G.E. warned last year. G.E. is also taking a $3.4 billion charge related to U.S. tax changes and a $1.8 billion charge for impairments of energy financing at GE Capital in the fourth quarter. The problems with the company’s big power-generation business were also far worse than had been previously known. The company’s 2017 profit, to be reported next week, is likely to be at the bottom end of its forecast of $1.05 to $1.10 a share. In a conference call with analysts, Mr. Flannery emphasized that his main focus was bolstering the strength and performance of G.E.’s three main businesses. He also said that G.E. is “looking aggressively” at a spin-off. He previously stated that the company would sell at least $20 billion in assets over the next two years. To conserve cash, Mr. Flannery cut G.E.’s dividend last year, something that has only occurred once before in the years since the Great Depression. The problems at G.E. were brewing well before Mr. Flannery took over as G.E.’s chief executive in August. Some investors and analysts have urged a wholesale breakup of the company. Flannery already is eliminating thousands of jobs and cutting $3.5 billion in costs. The company’s scrutiny of its finance unit and other businesses is continuing. G.E. said it will provide another update on its review in the spring.